The current story is from the Spring 2017 issue. Complete newsletters are available in the left lower column. Click on the item you want, and a link to a PDF will appear. If a “harbor” is a safe place, especially for boats to get shelter from the elements, then before the WPA finished the north breakwater in 1936, Morro Bay was not actually a harbor. Before improvements began that enabled building a harbor in the estuary, the unpredictable ocean currents flowed on both sides of the Rock. Reports suggest that sometimes the estuary was easier to reach on the north side of the Rock, and sometimes on the south side. It took detailed local knowledge to bring an ocean-going boat alongside the crude docking facilities at the foot of the bluff. Local business people and farmers had long wanted to be able to ship into and out of Morro Bay, but conditions were difficult and kept traffic relatively small. The big pier in Cayucos was easier to reach and was often more sheltered from wind and currents. With this development, Supervisor Alfred Ferrini began working to get the U.S. government interested in building the infrastructure needed for a full service harbor in the estuary. He invited Captain M.W. Gilland of the Los Angeles office the Corps of Engineers to review the estuary with the prospect of building facilities. Although Captain Gilland was noncommittal about the potential of the harbor, he did urge the local authorities to estimate the cost of building one, thereby encouraging them to persist. 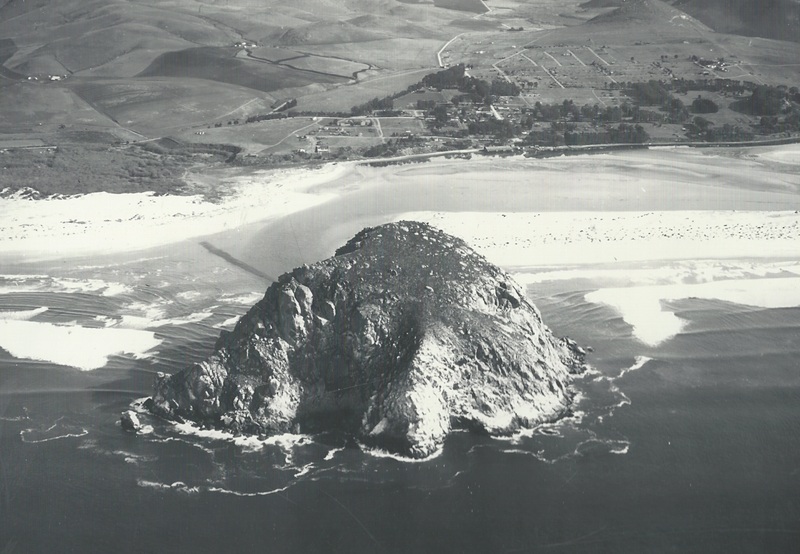 The optimism the boosters felt was clear in The Sun’s report that “According to harbor authorities Morro Bay equals the San Diego harbor in safety and as a naval base it is said to be looked upon with favor…” This vision was unrealized until 1942, when the war gave the Navy a whole other reason to invest in Morro Bay.